Have you ever had a stranger do something kind for you? While many of us are busy going about our own lives, it seemed as though others aim to make everyone else’s day as perfect as can be. 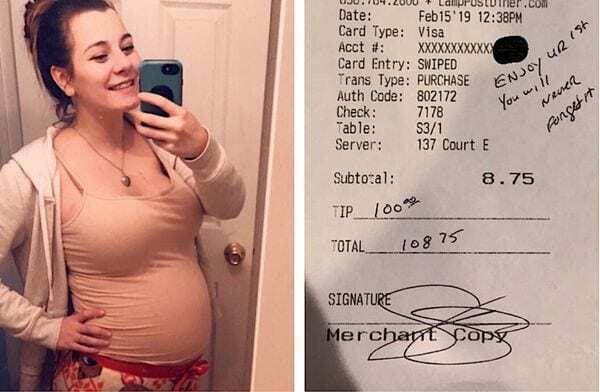 Thankfully, one pregnant waitress was about to learn how kind strangers can be. 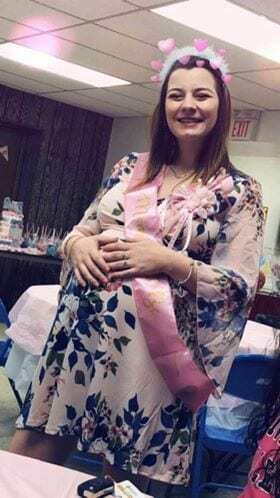 Courtney English is 23 years old and was busy preparing for the arrival of her first child while she was working at the Lamp Post Diner in New Jersey. Courtney worked as a waitress where she had met many regular customers. Everyone knew that Courtney was cheerful and wanted to make everyone’s day as good as it could be. However, she was about to be the one with the smile on her face. Courtney was busy waiting tables and talking about her pregnancy with any customers who asked. One table wanted to know how it was all going, and thankfully, Courtney was nothing less than excited. The waitress confessed this was her first baby. Plus, being seven months pregnant meant that it was almost time for her to head on maternity leave. It was all falling into place. The waitress couldn’t believe her luck and soon phoned her dad. He knew how kind the police officer had been and wanted to share his generosity with the world. It turned out that Courtney had been saving hard for months as she prepared for the new arrival and was taken back by his kindness. They might not know who he was, but this pair were never going to forget the police officer’s incredible offer. Sometimes, an act of kindness can go a lot further than we ever imagined. In fact, these moments in time can be enough to change someone’s entire life.